The flute became a highly fashionable instrument in the 18th century, and CPE Bach used it in his compositions throughout his life, from early works written in his teens, through a fruitful period at the court of Frederick the Great, to his time in Hamburg. His works for this instrument frequently betray the influence of Friedrich II, yet the distinctive traits of a composer as great as CPE Bach often surface. Again and again you encounter surprising twists and new compositional approaches. 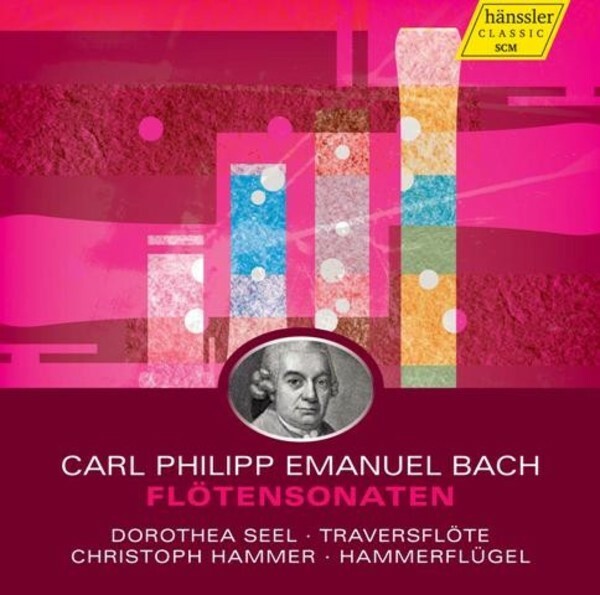 The sensitivity and expressiveness of CPE Bach�s highly personal musical language are beautifully realized on Dorothea Seel�s copy of a late-Baroque Transverse flute made by Jacob Denner, with vivid accompaniments provided by Christoph Hammer on a period fortepiano.